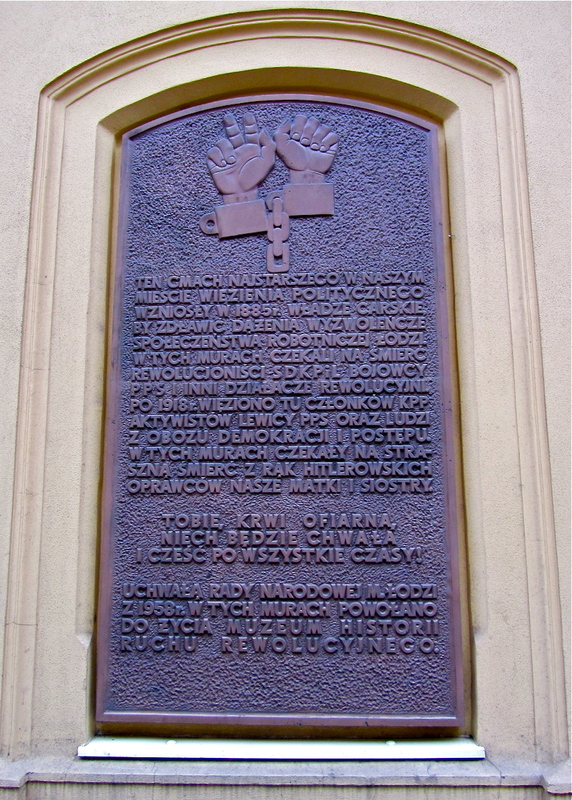 On January 13, 1944, Jadzia was arrested by the Gestapo on suspicion of resistance activities and sent to the same women’s prison where her sisters had initially been held. She survived with the support of fellow cell-mates and the help of a sympathetic female guard. On March 16, 1944, Jadzia and seventy other women were placed on a train, headed to Germany, to the Ravensbrück women’s concentration camp. 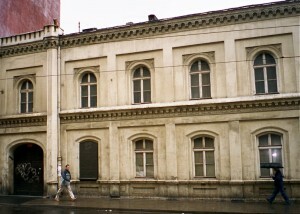 (101-102) Former Women’s Prison at 13 Gdańska Street, currently the Museum of Independence Traditions. 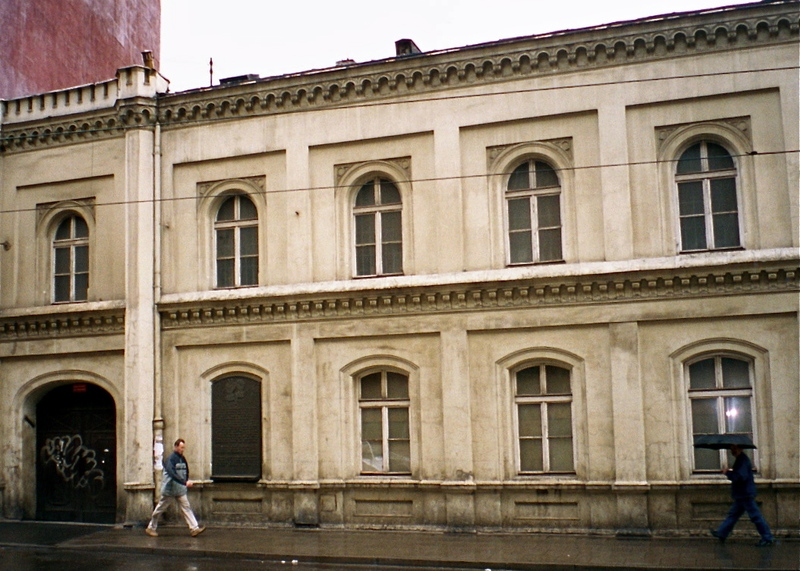 Note the large bronze plaque to the left of lower windows (Łódź, 2005). (101-102) Plaque on the side of the Museum: “This structure, the oldest political prison in our city, was erected in 1885 . . . 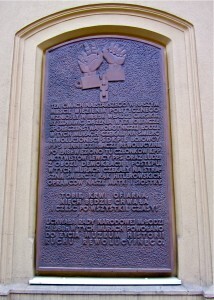 Within these walls sat our mothers and sisters, awaiting a terrible death in the hands of Hitler’s torturers” (in Polish, Łódź, 2005). 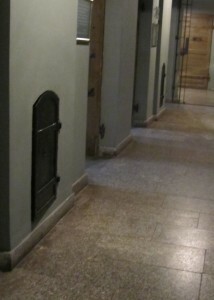 (110-111) Furnace inside prison cell (left) and small furnace door (right) opening onto the prison corridor, where one of the guards would secretly leave food for Jadzia (Łódź, 2011). 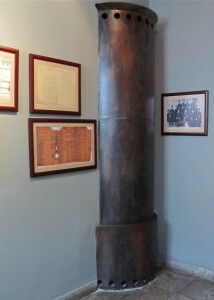 The two images of the prison furnace were taken by Barbara Rylko-Bauer in the main exhibit section of the Museum of Independence Traditions in Łódź. 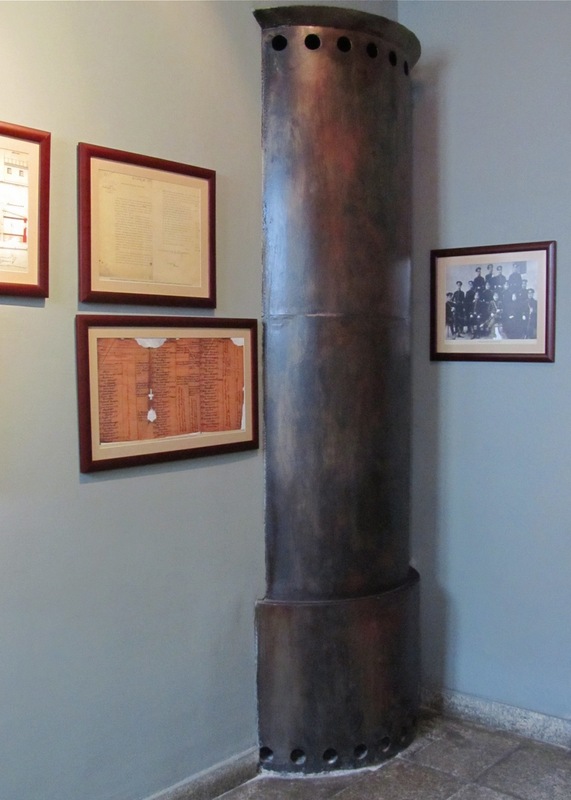 The photos featured on this website are copyrighted, © 2014 Barbara Rylko-Bauer, unless noted otherwise. Please do not copy or use without permission of owner. Corresponding book pages are listed in front of each photo’s caption. Website Design © 2019 TechConnect, LLC for Barbara Rylko-Bauer.